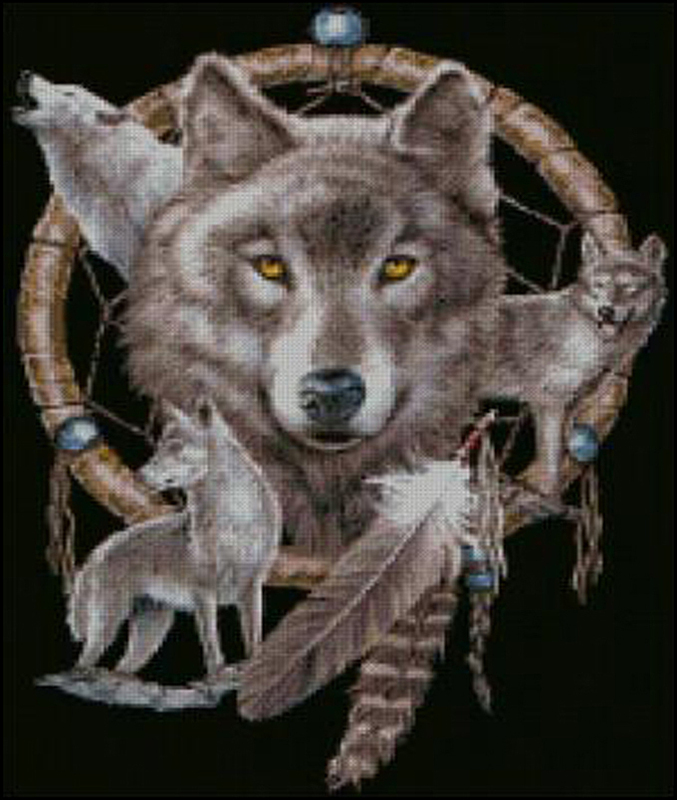 Dreamcatcher and Wolves Cross Stitch Pattern***L@@K*** I SEND WORLD-WIDE Free (PLEASE READ) THE ENTIRE PAGE CAREFULLY BEFORE YOU BUY! These Are Cross Stitch Patterns ONLY. (They Are NOT kits) You SuppLy Your Own Fabric And FLoss. THESE CROSS-STITCH PATTERNS ARE COMPUTER GENERATED! ***(DOWNLOAD)*** THE CROSS-STITCH PATTERN WILL SHOW YOU THE COLORS NEEDED! TO COMPLETE YOUR POJECT! JUST HIT THE PRINTER ICON AND YOUR PATTERN WILL PRINT OUT FOR YOU! LOOKS GREAT: ON PILLOWS SEAT COVERS ETC. JUST USE YOUR IMAGINATION CREATE ONE OF A KIND GIFTS FOR FRIENDS AND RELATIVES. With Your Purchase You WiLL Receive: A CoLor Picture Of The OriginaL Photograph. A 10 To 20 page (PDF) Format Pattern Chart SymboLs. FLoss Chart Is For DMC Treads. YOUR FINISHED PATTERN SIZE. 210 Stitches x 280 Stitches 15.0" X 20.0" ON (14 COUNT) AIDA CLOTH. I SEND WORLD-WIDE Free P.S. ADD ME TO YOUR FAVORITES (CHECK BACK WITH ME! ILL BE LISTING ALOTT MORE GREAT LOOKING CROSS-STITCH PATTERNS! Please Remember I will need (your e-mail) (Your Cross-Stitch Pattern)***(DOWNLOAD)***Will Be Deliverd To You By e-mail With In 24 Hours! Payments By Paypal Or Credit Card!